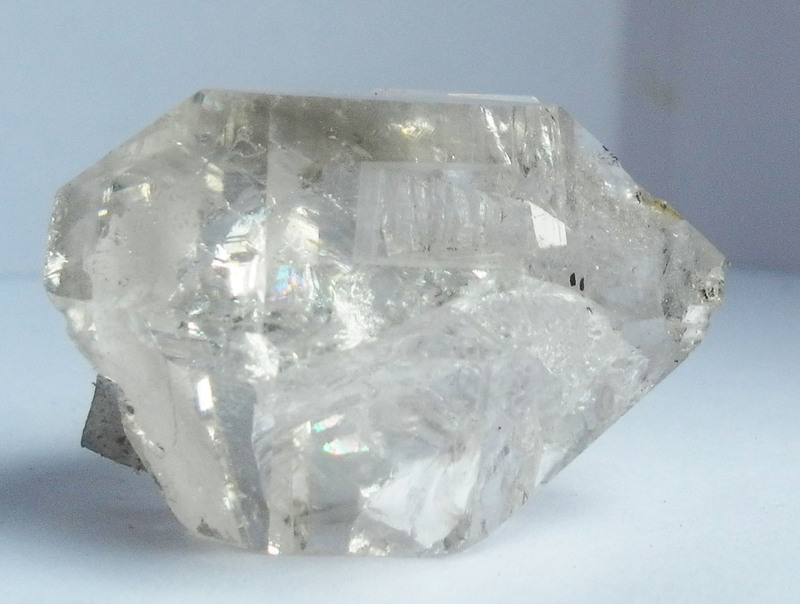 Diamond, an important allotrope of carbon, is one of the best-known examples of allotropes among all chemical elements. Carbon atoms arranged in a highly organized lattice structure form the radiant diamond crystals. 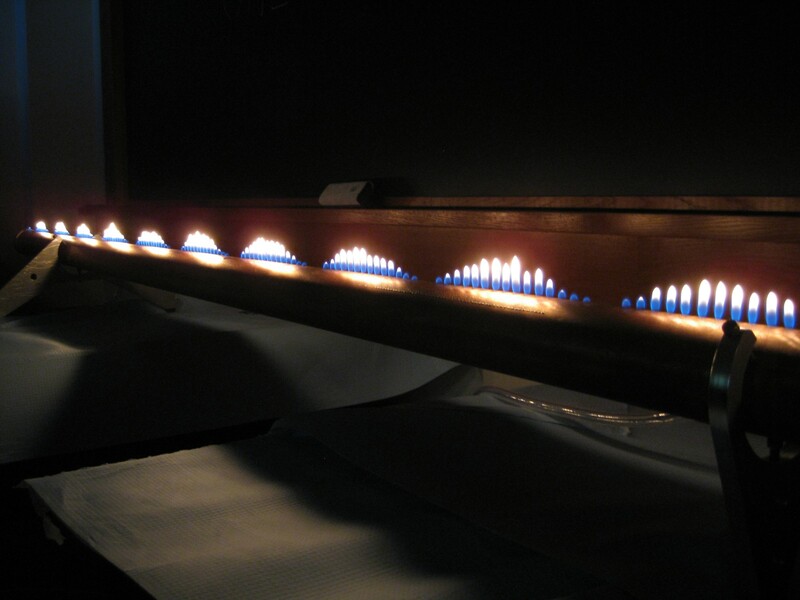 However, it is not always clear how the crystals are formed, with there being multiple theories regarding it ― some more likely than the others. Although it is often taught to children that diamond is a result of metamorphism of coal, meaning that coal itself turns into diamonds due to immense pressure and heat underground, this theory has been proven to be incorrect. One of the basic evidence against this theory is the fact that most of the diamonds found today are older than the earliest plants that grew on earth. And since coal forms from decaying plant materials, it proves that diamonds have been there on earth before coal even existed. However, coal can turn into a diamond if it undergoes immense pressure and heat, as shown in lab experiments. Diamonds form in earth’s mantle and are carried near the surface by deep-source volcanic eruptions. The lava traveling from deep down, towards the surface of the earth carry the diamonds along with it, forming the lamproite pipes and kimberlite where the gemstone is often found. The actual process that creates diamonds does involve extreme heat and pressure, so it can only occur in the areas of the mantle as hot as 2000℉ (1090℃) and as deep as 90 miles (150km) below earth’s surface. Sometimes, small diamond crystals are formed when different parts of the earth’s crust (tectonic plates) collide with each other, causing subduction of the plates, pushing them near the mantle. 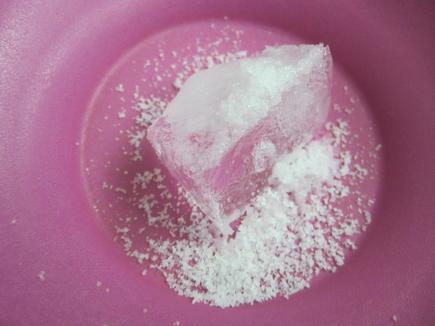 In this case, diamond crystals can form only around 50 miles (80km) below the surface, at around 390℉ (200℃). Studies have shown carbonate rocks (e.g. limestone, marble), carbon in the earth’s mantle, coal, as well as plant and animal matter to be sources of carbon for diamonds created by subduction. In its 4.6 billion years as a planet, Earth has been hit by multiple asteroids of varying sizes. 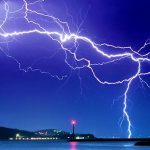 Each collision causes tremendous pressure as well as temperatures higher than the sun, which may lead to the formation of diamonds if there are carbonate rocks or any other form of carbon present in the target area. 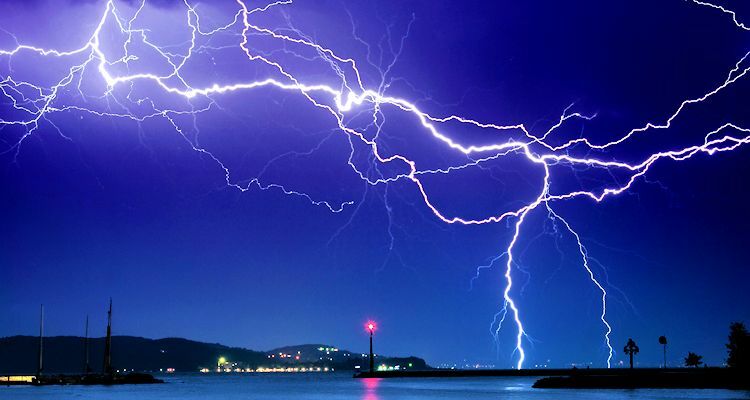 This theory has been further backed by the discovery of small and large diamonds from asteroid impact sites all over the world. Nasa researchers have found considerable amounts of extremely tiny diamond particles (nanodiamonds) inside some meteorites. These are believed to have formed due to collisions between meteors, much like how diamonds may be created by asteroids. 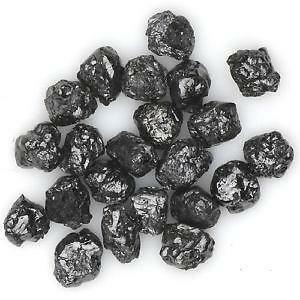 There are trace amounts of carbon present in meteors, which leads to the formation of diamond particles. There are such particles present in the Allen Hills meteorite (Antarctica), while the Allende meteorite (Mexico) has been found to contain diamonds older than the Earth’s solar system. Despite being too small to be used as a gemstone, this is a good source of diamond material for other applications. 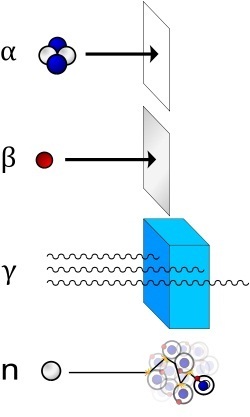 It is not possible to determine the exact time taken for a diamond to form. The actual process for creation of the gems could take anywhere from a few weeks, months, years to millions of years. The fact that almost all diamonds found today have probably been there since before life existed on earth does not necessarily mean they took that long to form. 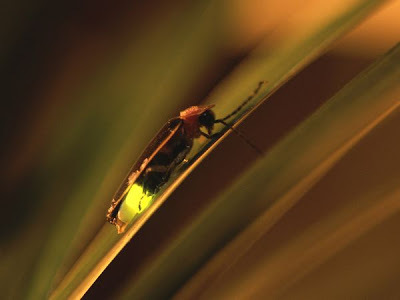 It may simply mean that they remained buried around the mantle for long periods. Scientists have also found that the steps involved in diamond-formation may not be continuous; so, a half-formed diamond may remain the same for millions of years before the conditions are favorable again for further development. 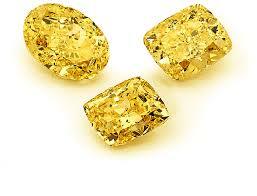 Yellow: One of the most common color variations, yellow diamonds have nitrogen impurities mixed with their carbon. The most prominent yellow diamonds are found in South Africa. Orange diamonds are also believed to form in the similar manner, where the coloration is more intense. 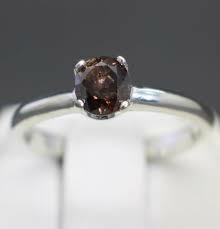 Chocolate/Brown: Also known as cognac or champagne diamonds depending on the intensity of the color, these are formed due to defects in the crystal lattice structure, which absorb light during formation. Presence of nitrogen is another factor that might result in the brown color. Blue: Results from the presence of trace quantities of boron in the diamond. 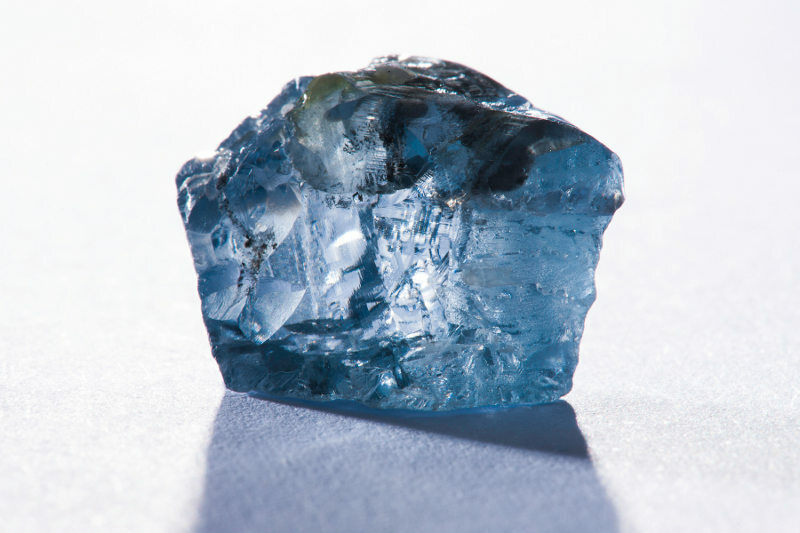 There had been some doubts regarding this theory as most blue diamonds found on earth are formed in the mantle, while boron is present more near the surface of the planet. However, it has been found more recently that these diamonds were formed from materials that came from tectonic plates under the oceans, and contained boron and water. 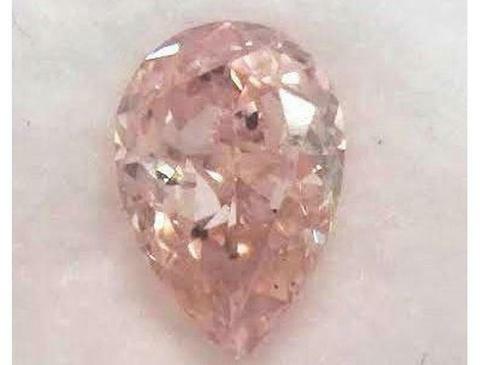 Pink: It is still not clearly know where the pink color comes from, but experts believe that it results from additional pressure during formation of the gem which distorts the lattice structure, causing the pink hue. 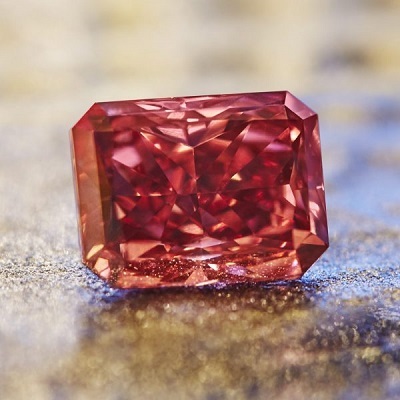 Red: These are believed to form in the same manner as the pink diamonds, with a more intense coloration. Black: The black color comes from high amounts of graphite impurities in the diamond. Green: One of the rarest colors, the green hue results from natural radiation from the surrounding rocks that causes electrons to get trapped in the surface of the diamond as it is formed. 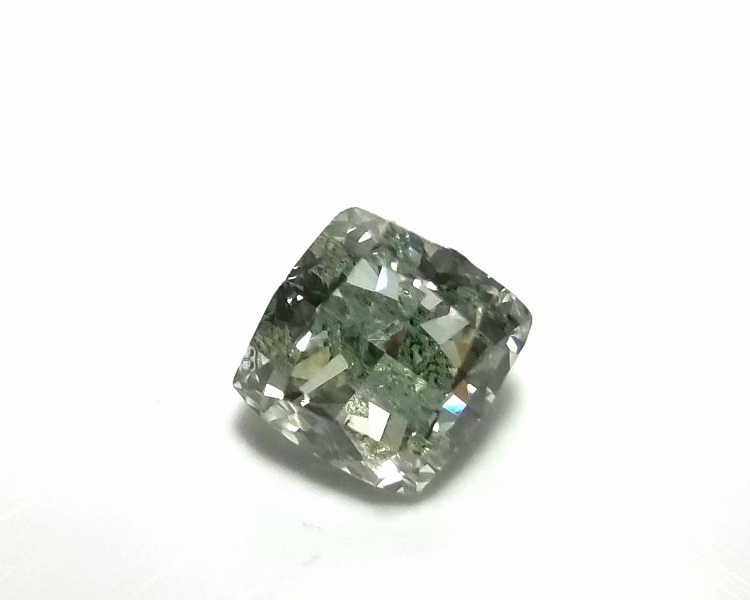 Sometimes, trace amounts of nickel present in the carbon may also result in green diamonds. The color is often present in only the surface and may be lost during polishing the stone. 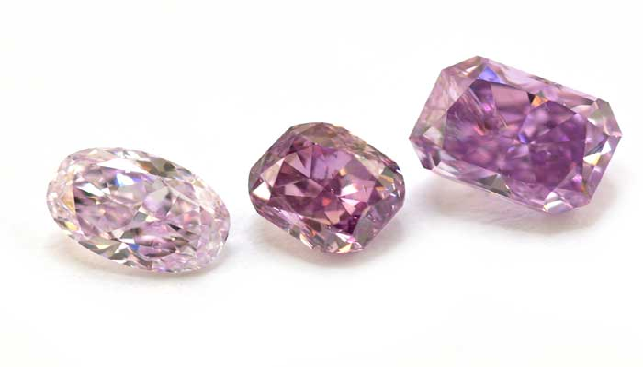 Purple: Another rare color variation, these are believed to occur due to some distortion to the crystal structure to already-formed diamonds during their journey from the earth’s mantle with magma. 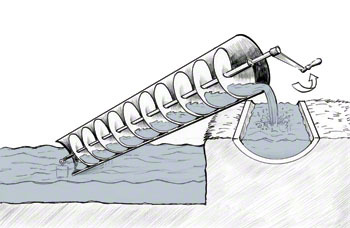 Hydrogen impurities are also believed to contribute to the color. As the name suggests, a man-made diamond is created from highly refined graphite, in a laboratory under a highly controlled environment where the natural processes involved in the growth of a diamond are replicated. The process takes several days or weeks, depending on the size of the diamond formed. Both man-made and authentic mined diamonds look the same and have the same physical and chemical properties. Gem-quality lab-made diamonds are extensively used in jewelry making.